The count down is on for February 7, the start of the 2014 Winter Olympic Games in Sochi, Russia! Twelve new winter sports will join those we always look forward to watching. Among them is Men’s and Women’s Ski Slopestyle. To the uninitiated, it looks a lot like what teens do on skateboards, but with skis on snow. In it, skiers combine airs and tricks on a 565-meter course featuring rails and a variety of jumps before being scored on execution, style, difficulty, variety and progression. Explore the science behind the moves with your students using the latest video series—The Science and Engineering of the 2014 Winter Olympic Games—from the partnership of NBC Learn and the National Science Foundation (NSF). This team brings you another series of high-interest STEM videos to stream into your classroom. Each one is around 5 minutes long and jam packed with science and engineering design concepts. And of course, NSTA is there, too, with suggestions and ideas for integrating the videos into your courses and conducting hands-on science and engineering design inquiries. To get started, watch the video and then download the lesson plans. The Integration Guide supplies myriad ideas for integrating the video throughout your day. The Inquiry Guide supplies BOTH a hands-on science inquiry AND a hands-on engineering design inquiry. The series is available cost-free on www.NBCLearn.com and www.science360.gov. Download the lesson plans below in editable Word format. Leave a comment to let us know what you think! Nick Geopper & the Physics of Slopestyle Skiing discusses some of the physics involved in a type of freestyle skiing known as slopestyle. Slopestyle Skiing Integration Guide spells out the STEM in video and gives you mini-activities and ideas for research, teamwork, projects, and interdisciplinary connections. Slopestyle Skiing Inquiry Guide models a science inquiry into potential and kinetic energy AND models an engineering design inquiry in which students solve a problem related to slopestyle skiing. 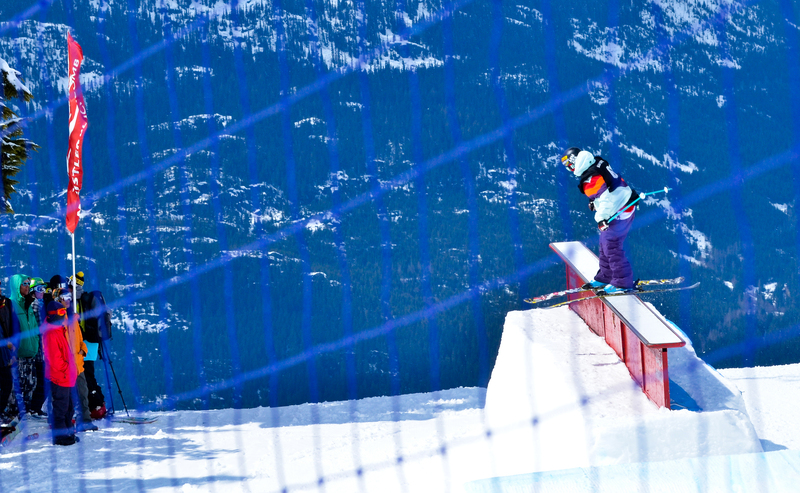 Image of a slopestyle skier in action, courtesy of Patrick Hui. This entry was posted in Videos and Lessons and tagged lesson plans, skiing, STEM. Bookmark the permalink. Trackbacks are closed, but you can post a comment.